Did you know … there are over 4,000 different rain shower heads on the market, in 2019? With so many options available, having a general idea of how to install a rain shower head in 2019, is crucial. 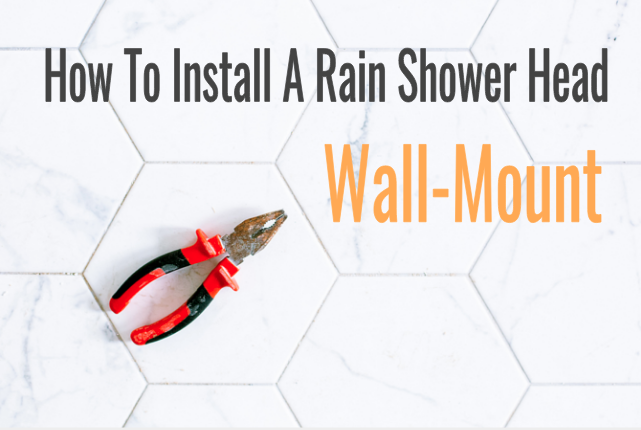 On this page, you’ll learn both, how to install a rain shower head in the ceiling, and how to install a wall-mounted rain shower head. Please note, in order to install your rainfall shower head properly, you’ll need to follow the manufacturer’s instructions exactly. In most cases, it’s recommended that you hire a licensed, professional plumber, to ensure perfect installation. Again, this page is intended to give you a general idea for installation, not exact instructions (as that would be impossible, given every model is slightly different). 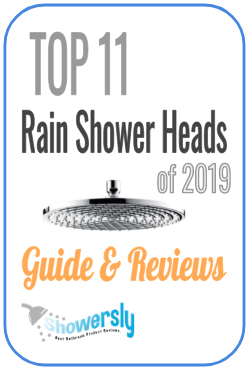 After you’re done reading, if you’re looking for some fantastic options, check out our 11 best rain shower heads of 2019. For best results, its highly recommended that you hire a licensed professional plumber, to install your rain shower head. 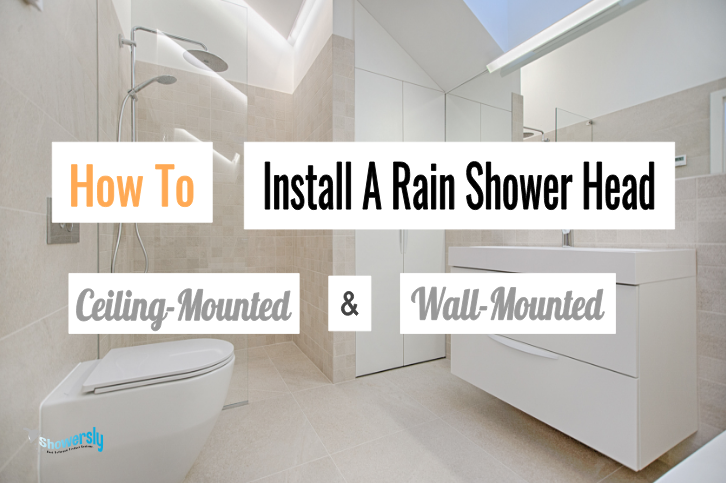 This is especially true, when regarding ceiling rain shower heads, as their installation, in most cases, proves more difficult, when compared to wall-mount models. 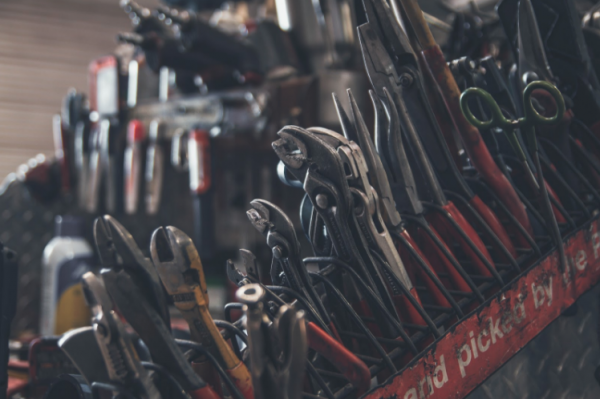 Make sure you read your owner’s manual carefully, making sure you have all the parts you need, before you start the installation process. Remember, each rain shower head’s installation instructions will be slightly different, model to model, so its key to follow your unit’s exact instructions. Most rain shower heads require a compatible shower valve, to ensure proper use. For example, a rain shower head may need: “an automatic compensating valve,” rated at 2 GPM, or less, from a specific manufacturer. Furthermore, to prevent scalding injury, make sure your shower mixing valve has a maximum output temperature, that doesn’t exceed 120 degrees F (for USA), or 112 degrees F (for MA). 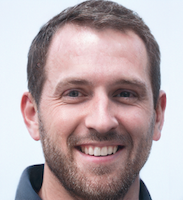 For more details on this, check out this article, from PHCPPROS. This should go without saying, but just for good measure, remember to only shower at temperatures that are safe, and that you are comfortable with, to prevent potential injuries. 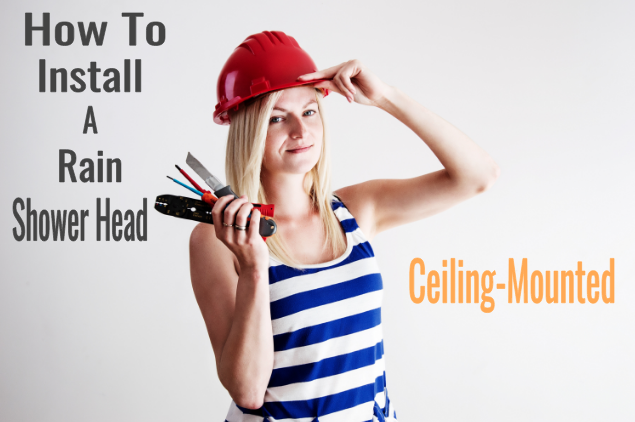 You’ve successfully completed your research for installing rain shower heads, both in the ceiling, and in the wall. For another reminder, please remember to follow your rain shower head manufacturer’s instructions exactly, to ensure proper installation. Hiring a licensed professional plumber is highly recommended. Now that you have a good idea on how to install a rain shower head, if you need some great options, check out our essential guide on the 11 top-rated rain shower heads of the year. Also, if you’re looking for more ways to transform your bathroom, into the bathroom of your dreams, click here, for our most popular reviews, and guides. Thanks for reading, and happy showering! If you like what you see, click below for more awesome shower stuff!